Hot Stamp Foils | CPS Resources Inc.
CPS Resources, Inc. offers extensive hot stamp foil design options. With these many choices, comes the versatility of our foil coverage can capture the sharp and precise definition of fine line graphics or bold broad coverage surface areas. Our foils are specialty formulated to conform to performance specific requirements such as household chemicals, UV stability, moisture resistant and abrasion or scratch resistance. Those are just a few of the requirements we adhere to. We are able to design a foil to meet any of your substrate’s preconditions. Industries that Benefit from Our Foils: Advertising, Appliance, Automotive, Bottle Closures, Computers, Cosmetics, Electronics, Furniture, Glass, Hardware, Houseware, Medical, Packaging, Picture Frame, Shoes, Sporting Goods, Toys & many more! 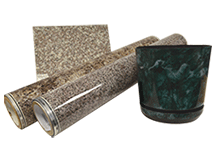 Our standard foils are manufactured in master roll widths of 25″ (also available in 50″ width). Master rolls can be slit or cut down to your specific roll width requirement. Our minimum order, if available in stock is 25″ x 1,000′. A minimum production order is 25″ x 10,000′. Custom orders carry a minimum of 25″ x 20,000′. To see all the designs we offer, explore our website or contact us to get a free catalog! The metallic foils have a reflective glimmer and shine to them. Giving them the ability to boost the radiance of any substrate they are applied to. Pigment foil is available in standard or custom colors. Durability is our key ingredient making our pigment line perfect for all industrial applications. Our abstract line of foils offer a variety of colors and patterns to decorate any product. Coming in metallic and matte finishes, creating more versatile foils. 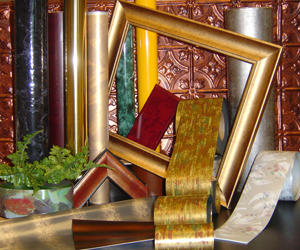 Thermoforming foils are durable foils. Formulations are available for deep draw while maintaining the integrity of the design as while scratch resistance. The textured foils that we offer are true to their name and are textured to the touch. Each of these foils creates an alluring 3D feel to any application. Our line of woodgrain foils closely emulates the authentic look of genuine wood. 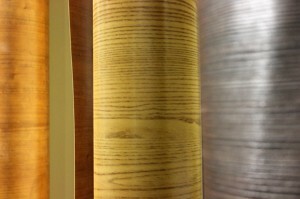 We offer a wide variety of foils, with several wood categories and finishes. 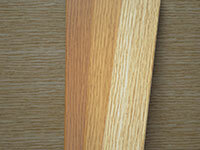 Designed to act as a case to be applied to PVC extrusion to create an authentic wood appearance. We can customize the end stain to whatever your preferences are. Our marble foils emulate real marble and granite finishes. The colors range from the popular earth tones to more vibrant and rich colors. Our line of skeletal foils has no base color, they provide a wood grain texture to what they are placed on top of. This allows you to have the same surface characteristics on a variety of substrates.